ONE of the must-do items on the list of any manager whose work involves customer deliveries is the proper and frequent supervision of depot and warehouse operations. Well, there is an easy way to find out. Make sure that any visit to a branch of the company or its depot must always be concluded with a visit to the warehouse as well. Take a walk within the warehouse and make sure you pay attention to certain items, activities and behaviours within the warehouse environment. A 20-minute walk around may reveal more about the excellence of your operations, and whether all the rules and regulations are being applied, than a meeting with your depot manager and his staff. • Distributors are not permitted to walk freely about in the warehouse area. Material handling equipment (MHE) includes storage and handling equipment such as pallet racking and shelving, engineered systems such as conveyors, and industrial trucks such as forklift trucks. • The dock plates and levellers for smooth loading and unloading activities are well-maintained. • High-value stock or hazardous SKUs are kept in well-secured locations. • Stock-receiving areas are separate from supply areas. • There is adequate illumination in all working areas. • The office area is well-organised and efficient. 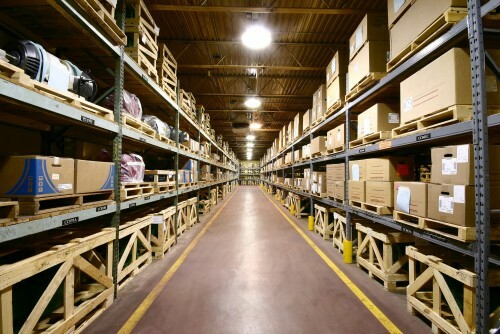 Warehouses play a very important role — they are the link between the production site of the company and its customers. As such, they must be well-organised, safe, clean and free of superfluous items that do not add extra value to the company. This will contribute to higher customer satisfaction, retention and, ultimately, loyalty.